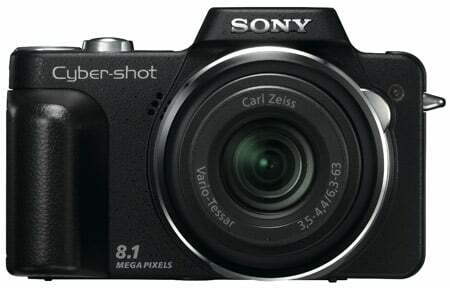 Review Some people want a camera that’s small enough to fit in a pocket, but they also want the features of a SLR. In other words, they want the impossible. Or do they? Enter the 'superzoom', which in the days of film would have been described as a 'bridge camera'. As you’d expect, superzooms offer a much longer optical zoom than those found on a standard compact. Whereas most compacts have a paltry 3x zoom - boosted by an often unusable digital zoom - superzooms typically offer around 10x-18x optical zooms. But do they fill a gap or merely offer too many compromises? Sony’s DSC-H3 certainly looks and feels the part. It’s a chunky model that feels reassuringly solid in the hands – this is a camera designed at the school of hard knocks. Of course, it’s not the smallest of cameras and next to some of today’s ultra-thin compacts seems positively obese – it measures 106 x 68.5 x 47.5mm and weighs 264g – but it’s certainly fine for carrying around in your coat pocket. 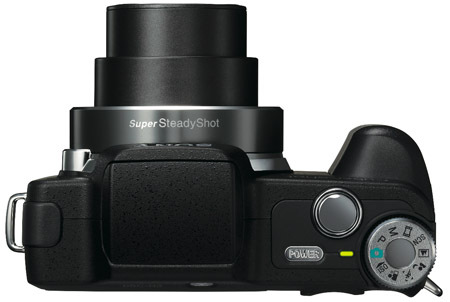 At the top of the DSC-H3 is a small power button, large shutter button and a dial for selecting the various modes, including camera, manual control, and scene settings. On top too is the pop-up flash cover. Moving to the back, we find a 2.5in LCD screen comprising 115,000 pixels; a tiny playback button; zoom rocker control positioned so that your right thumb naturally rests on it; a dial for selecting macro, ISO, flash, display mode and self-timer; and two buttons for selecting the menu. Yes, that’s right, two menu buttons. The first, called Home, is described as a “gateway to all camera functions” and offers a set of sub-menus for shooting, viewing images, printing, memory management and manual control. The Menu button gives access to various shooting settings, such as image size, ISO and flash level.